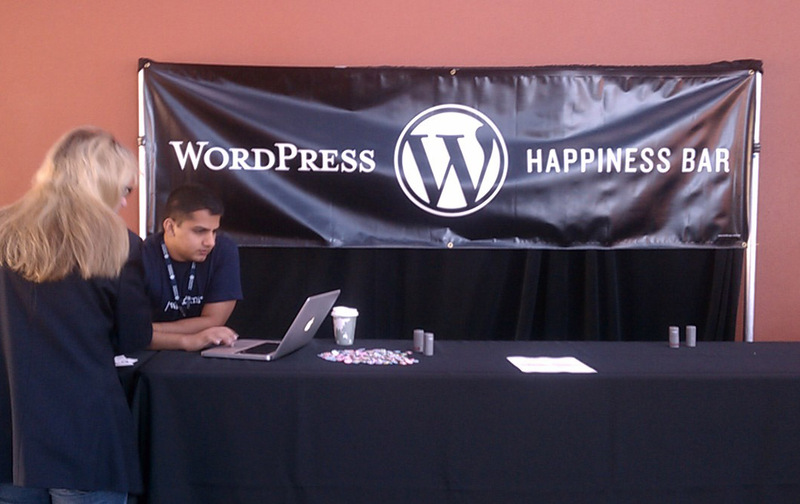 Wow, OK, so this is a random collection of thoughts after #WCSF last weekend. Never before have I dreamt, thought about or immersed myself in so much WordPress in such a short amount of time. #WCSF proved to be ample opportunity for networking, learning, eating and traveling. I met a lot of really passionate people out there from bloggers to developers, designers, entrepreneurs, web hosts and many of the people behind the mammoth that WordPress has become. It really was a fun time. So here’s a shoutout to Adria Richards, Theme.fm, bluehost, Dream Host, the guys over at Media Temple, Matt Mullenweg, Brad Williams, Jeff Kropp, Lou Anne McKeefery, Pete Mall, Brian Tickler, Dan Ross, the guys over at StudioPress, Adam Chew, Linda Sherman and many others. Probably the best-spent 3 days I’ve had in the 3 years I’ve been developing and designing for WordPress. Until next time!